Riverwalk Apartments, formerly known as Riverwalk Galleria is located along Upper Circular Road off South Bridge Road and directly opposite Boat Quay. Riverwalk Apartments is situated right in the heart of the Central Business District. This strategic location is a stone's throw from Boat Quay, where many happening activities and entertainment spring up all round the year. Enjoy a variety of choices with regards to fine-dining, leisure activities and nightlife at Boat Quay and Clarke Quay or spend your day shopping at the nearby malls like the Raffles City, Marina Square, Suntec City. Chinatown is around the corner too. Riverwalk Apartments offers the ultimate convenience in transportation. Clarke Quay MRT Station is a mere 5 minutes walk away. For those who are working in the Business District, you can either walk to office or take public transport like buses or taxis. very nice beautiful units within city area, Clarke quay MRT, eateries and lovely living! a beautiful, cozy city life living, with open eye marina bay sands , flyer view. eateries, night life entertaining just walking distance . Incredible views over Marina Bay & Raffles Place (perfect for the NDP and F1 !). 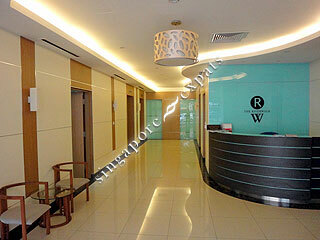 Convenient location - Five minute walk to Boat Quay, Raffles Place MRT & Clarke Quay MRT. Huge living space, with reasonable size balcony!